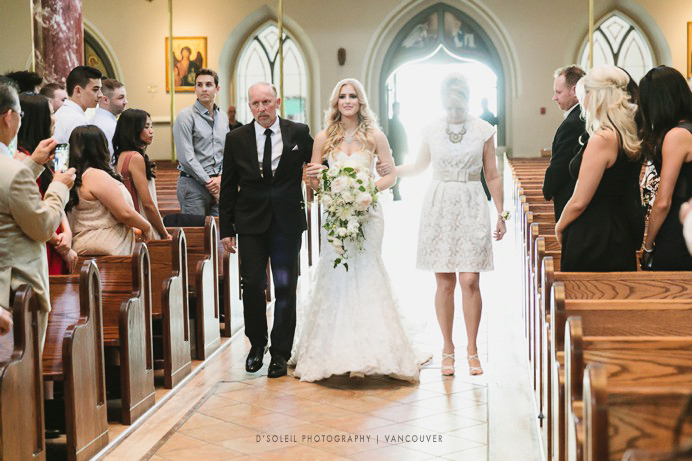 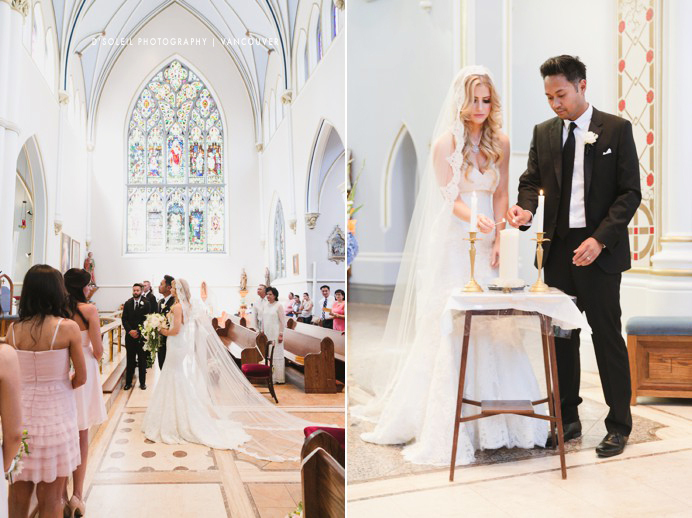 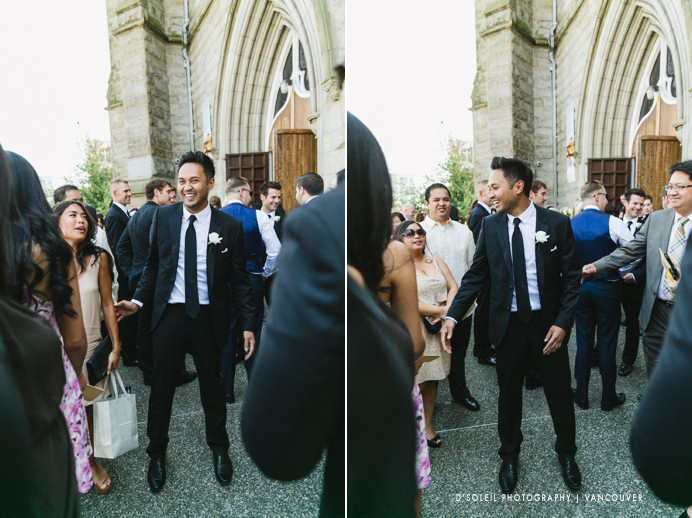 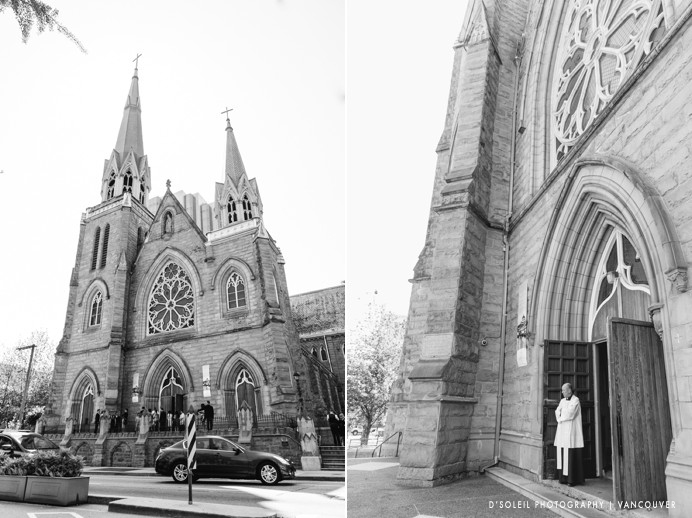 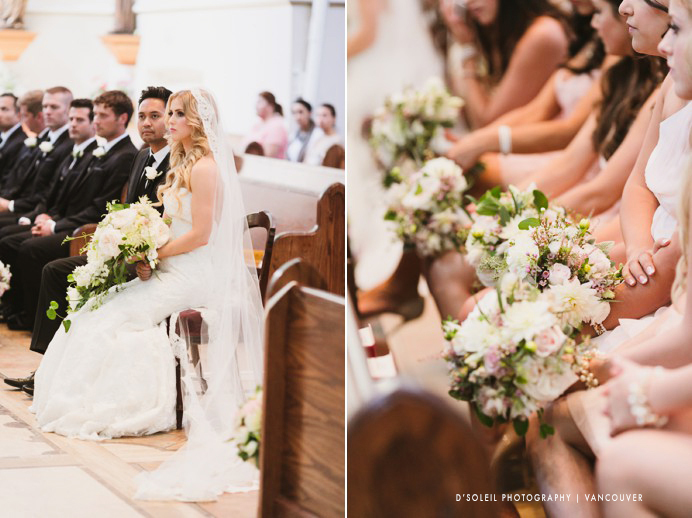 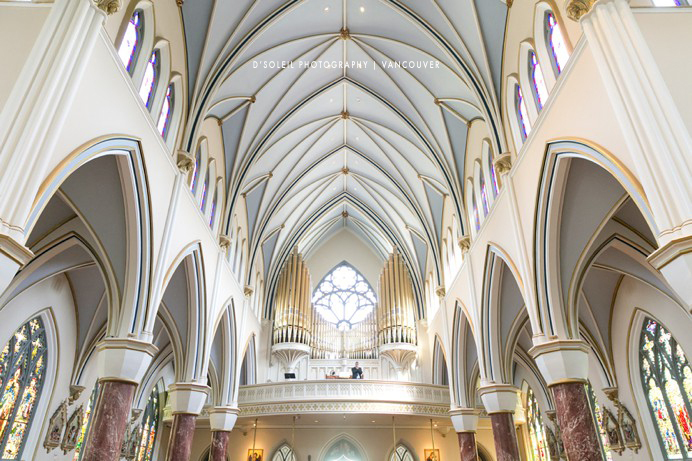 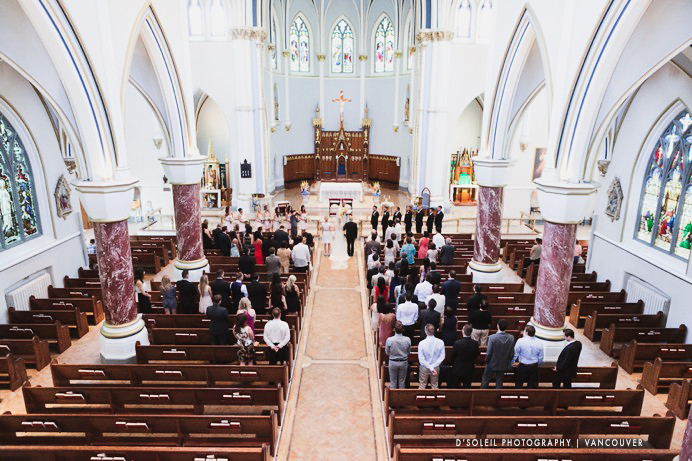 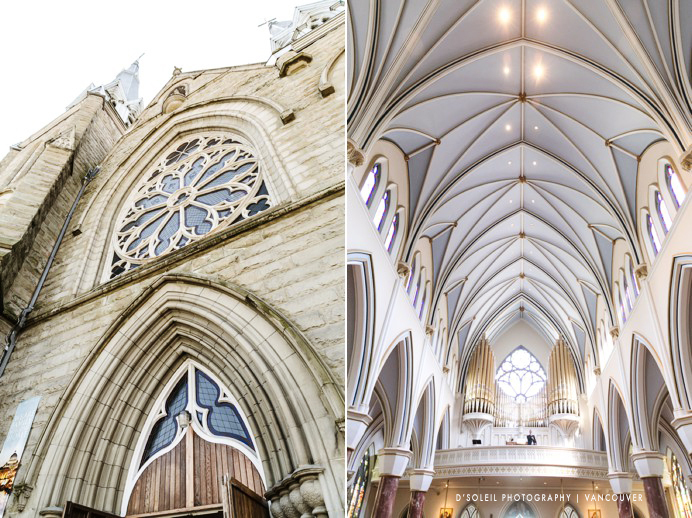 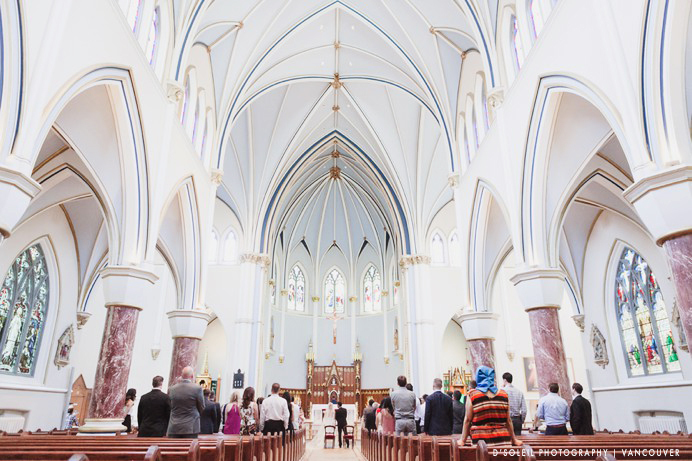 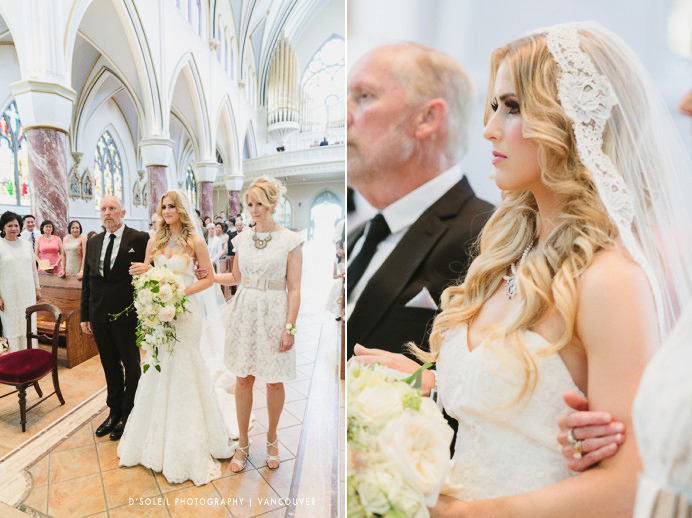 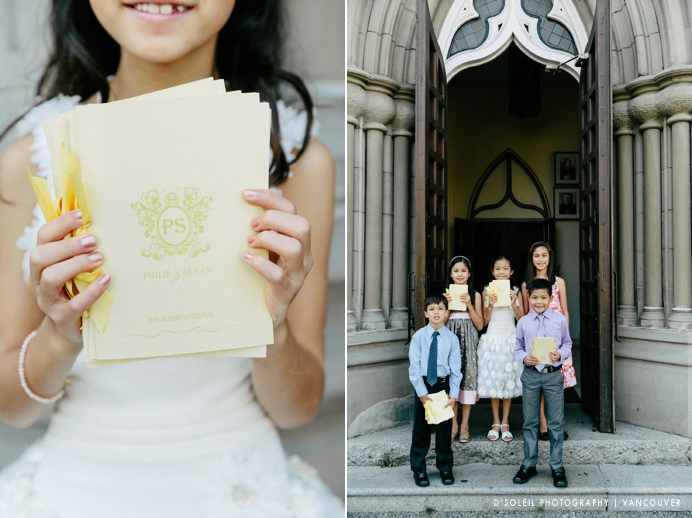 Susan + Phil’s Holy Rosary Cathedral wedding ceremony was a destination wedding for them. 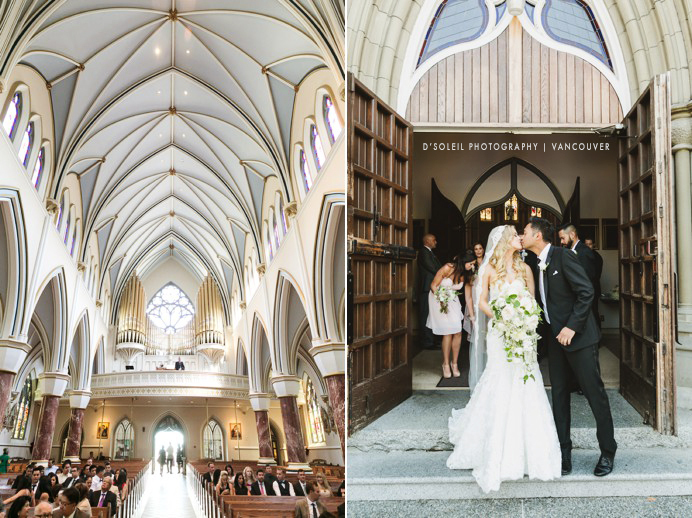 Coming over from Alberta, we celebrated their big day in one of the most beautiful church venues in all of Metro Vancouver. 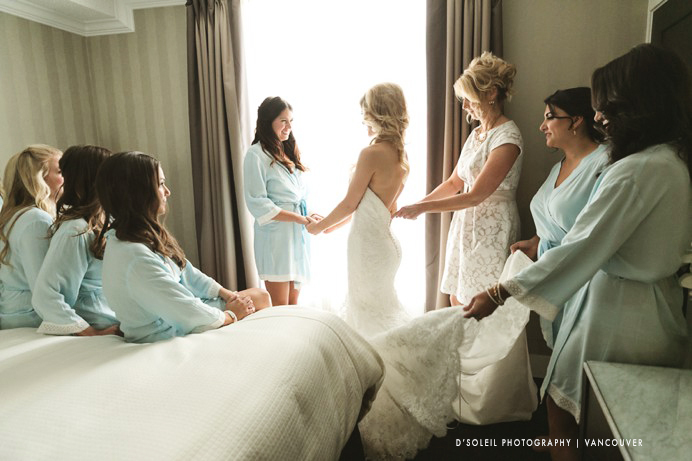 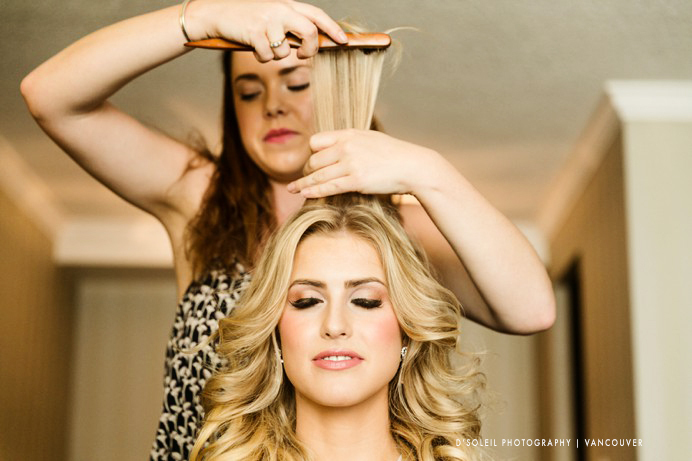 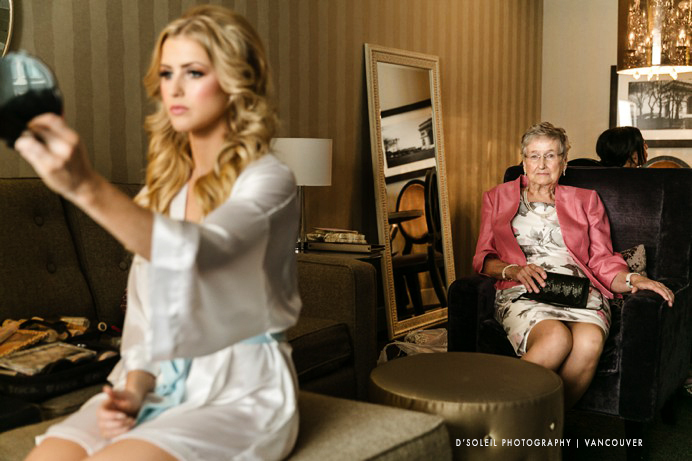 Their wedding day began with Susan and the ladies getting ready at the Sutton Place Hotel, which is only about five minutes away from the Cathedral. 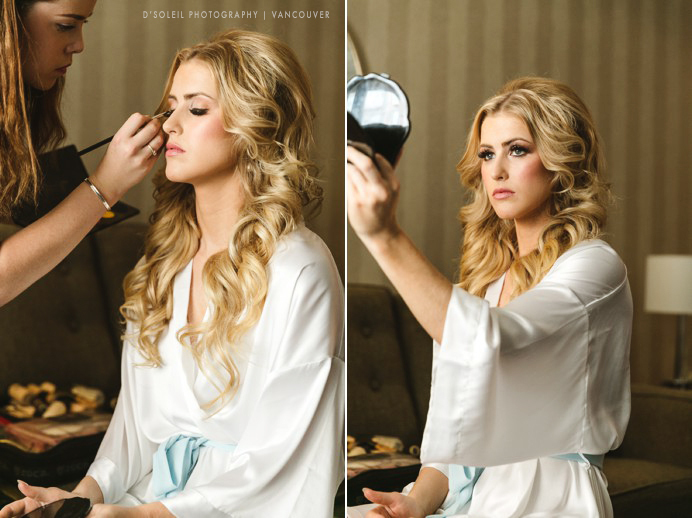 Faye of Faye Smith Makeup was called on to do her makeup artistry for the girls. 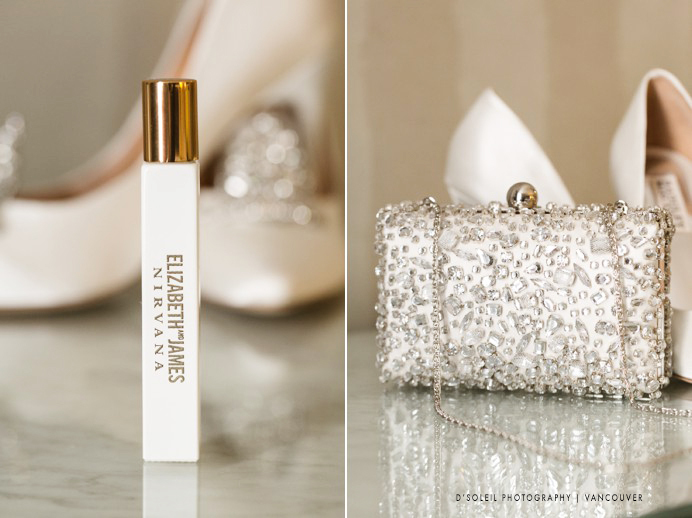 When I arrived, Susan and the ladies had her shoes, dress, and wedding jewellery all ready for me. 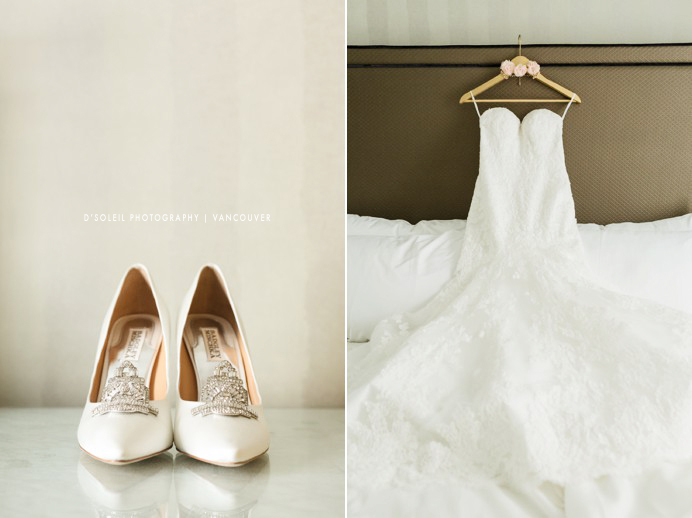 It wasn’t much of a task to do detail photos of her wedding attire. 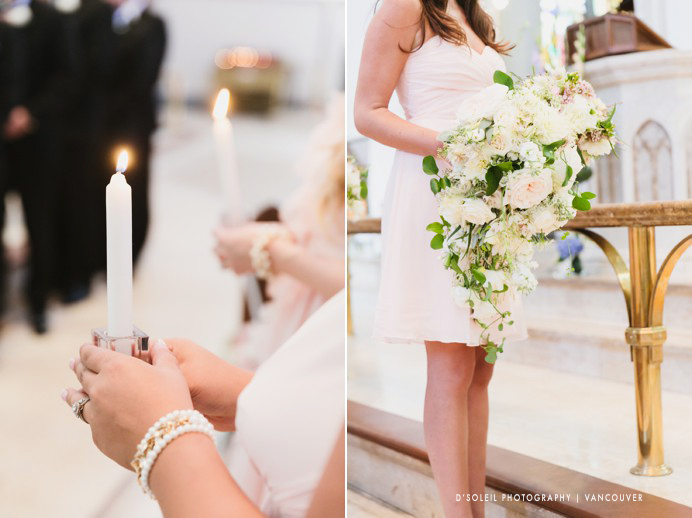 Not only was the dress stunning, but even the wooden hanger was dressed up for the photo. 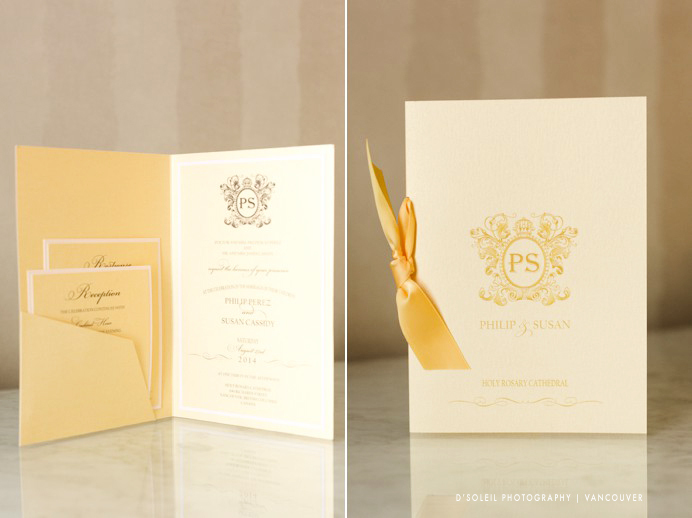 Also stunning was Susan and Phil’s wedding stationery. 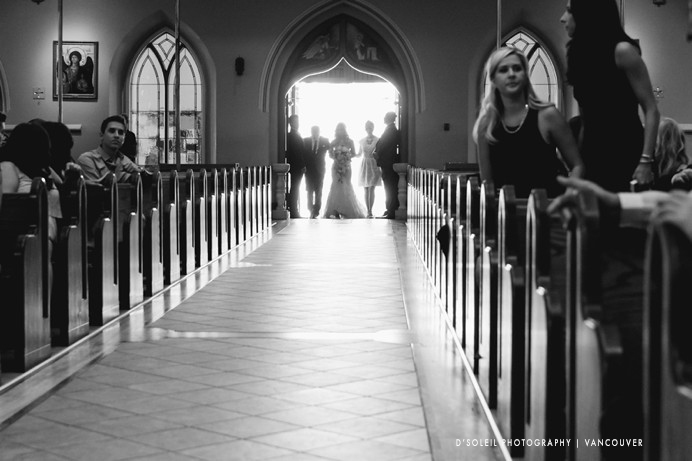 Beautiful in it’s design and simplicity, it too was something quite special to photograph. 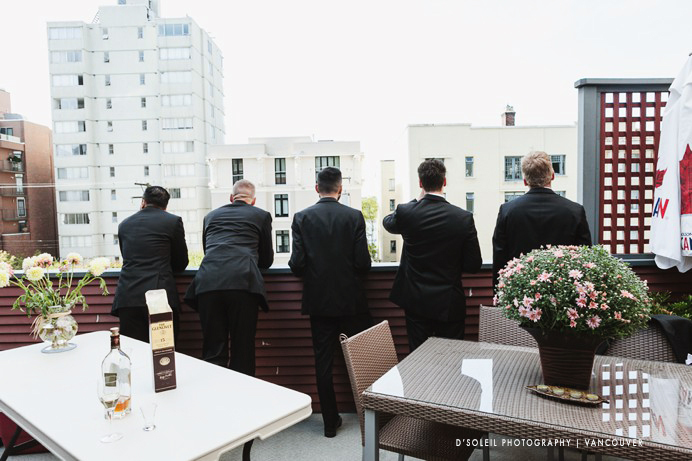 On the guys side, much of the getting ready portion of the day was simply the guys hanging out at Phil’s parent’s home in downtown Vancouver. 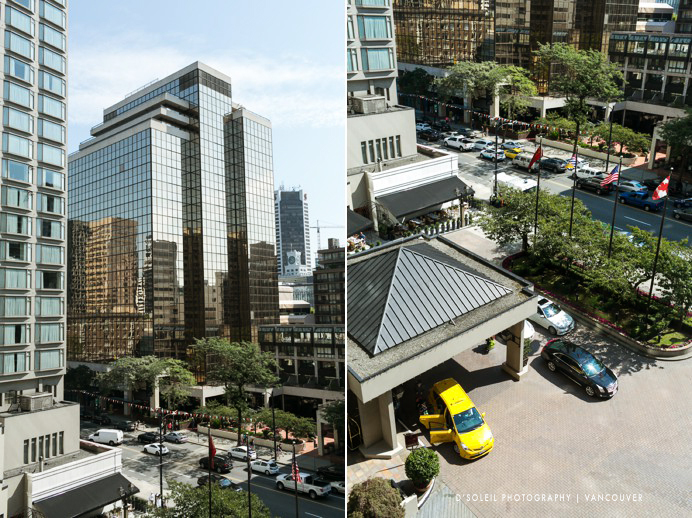 One of few heritage style houses still left surrounded by west end condos and apartment buildings. 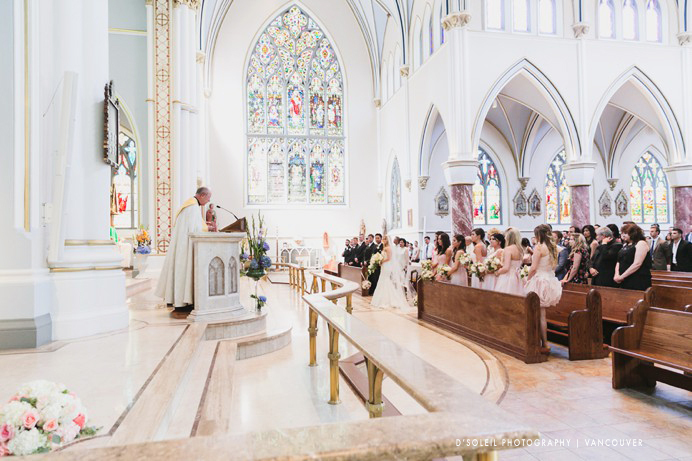 Meanwhile, at the Holy Rosary Cathedral, eager guests awaited the arrival of the bride and groom for a Catholic wedding ceremony. 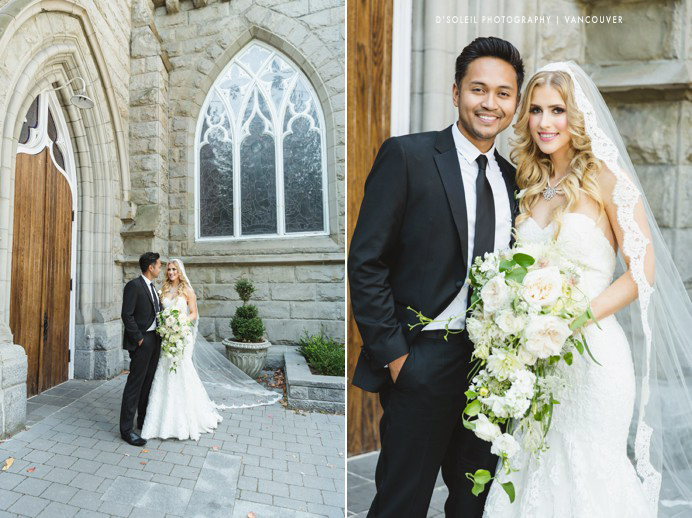 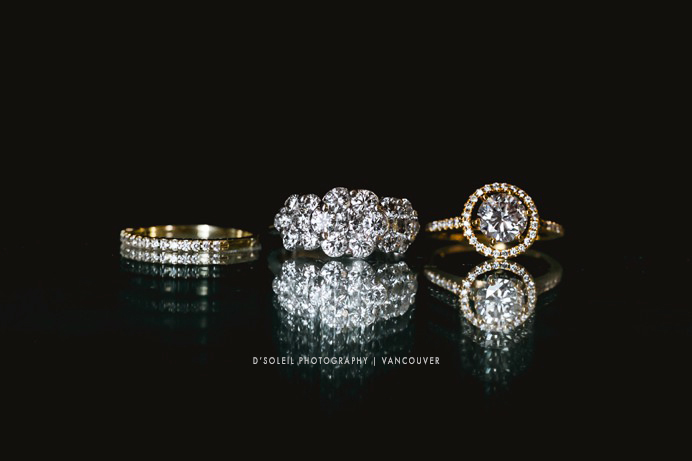 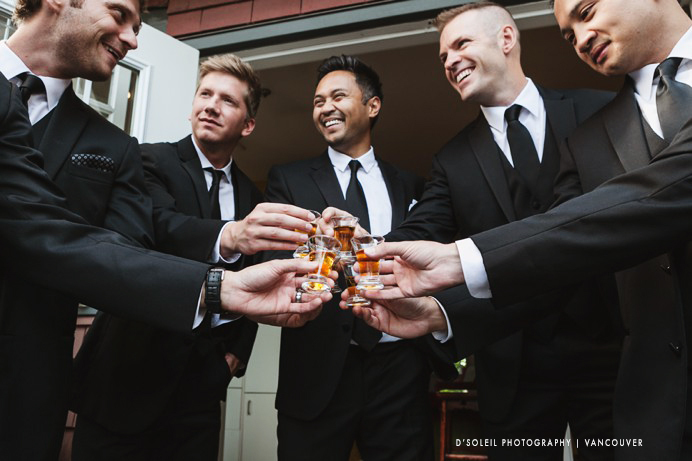 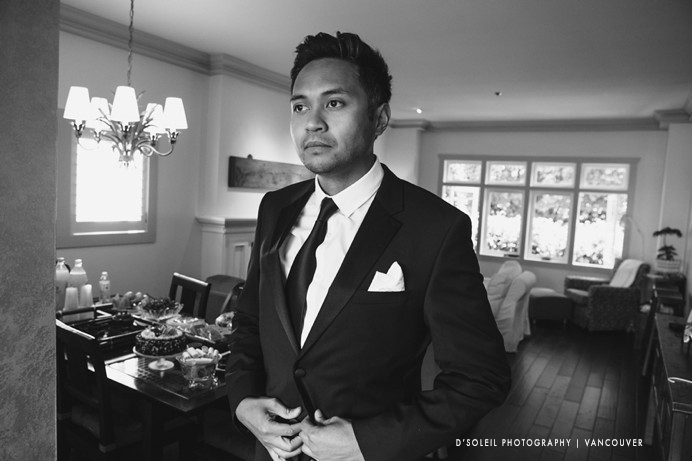 Following their Holy Rosary Cathedral wedding, Phil and Susan made their way to Cecil Green Park House at UBC for photos and their wedding reception.